Summer has unofficially kicked off, and if you're heading out east on Long Island, ABF & I have a great place to recommend: La Fondita! 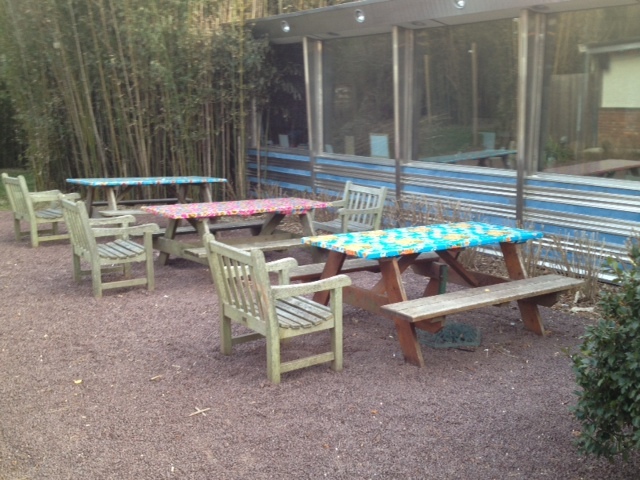 And as of today, La Fondita is open 7 days a week for the summer! Thank you, Foursquare, for introducing BBF and me to this jewel of a place! It was close by, affordable, and OPEN, which is rare at that time of year (this was a few weeks ago, not quite full-blown summer season). 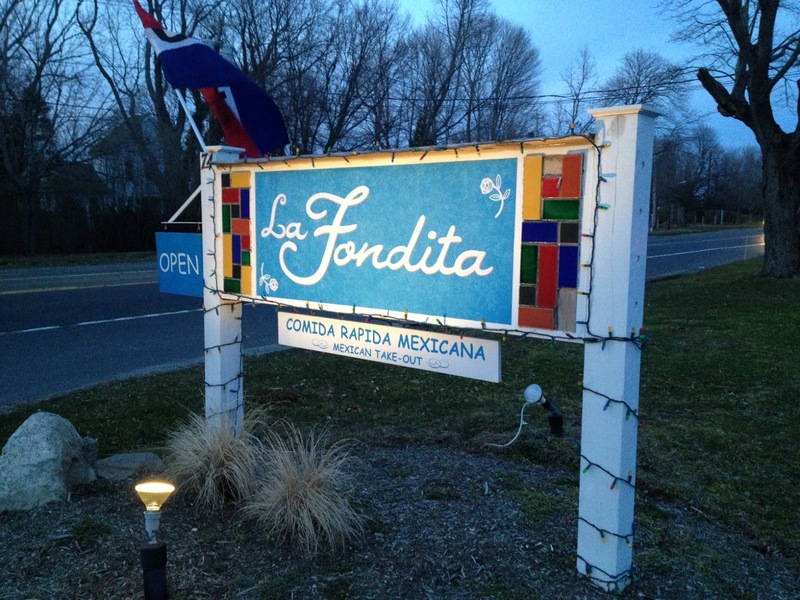 La Fondita is located right on Montauk highway, so whether you're coming or going, it's an easy stop. Everything there is made fresh and it shows--both in looks and flavor. 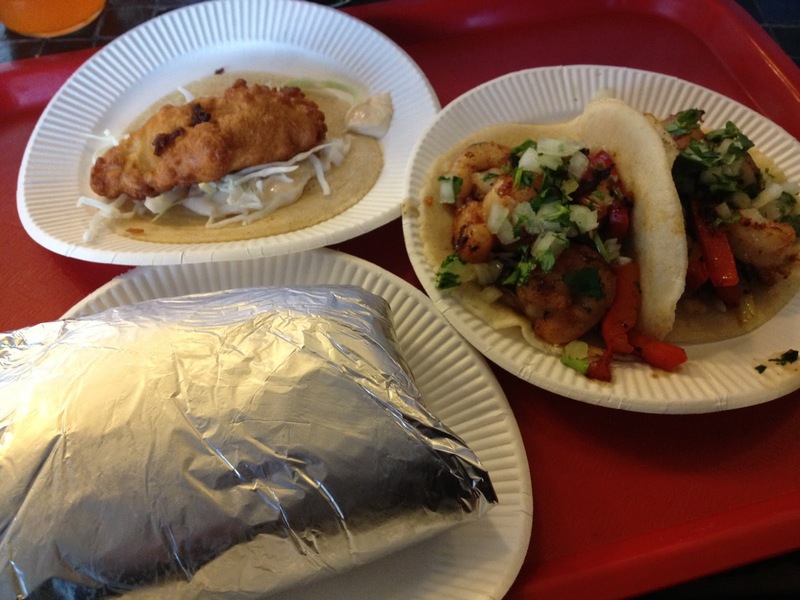 I went with one single fish taco and two shrimp tacos. They're small tacos, so 2-3 per person should do the trick. 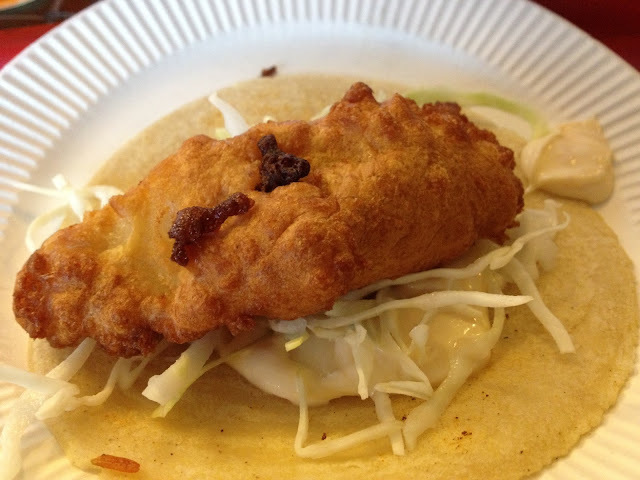 That fish taco was phenomenal-- I'd settle happily for two of those on my next visit. 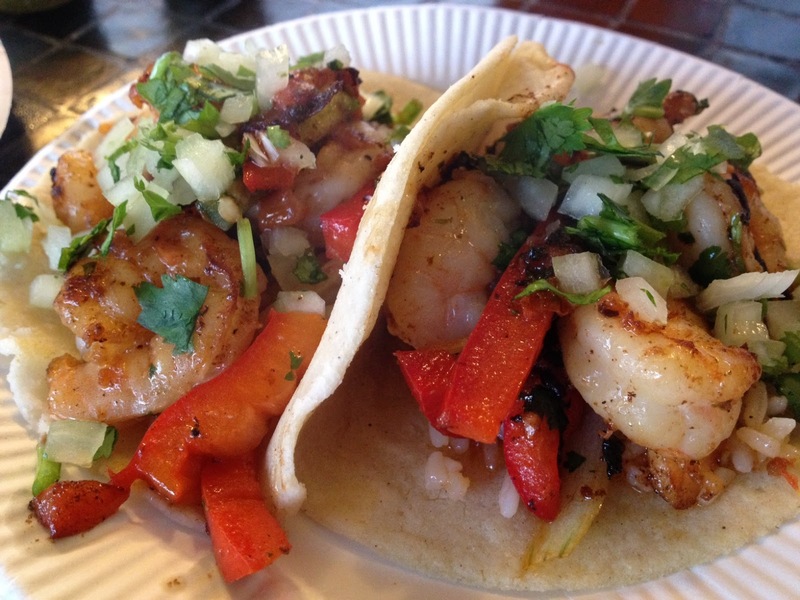 The shrimp, fresh, crunchy veggies, and homemade tortillas were tops. My shrimp taco was a bit too liquidy and my tortilla fell apart, but that did not stop me from devouring it. ABF ordered the seafood burrito: a fried fish fillet wrapped up in a freshly-made tortilla. OutSTANDing, though admittedly not so photogenic. I went back for two bites of that seafood burrito-- perfectly-cooked fish, crunchy slaw, and tongue-tingling salsa. 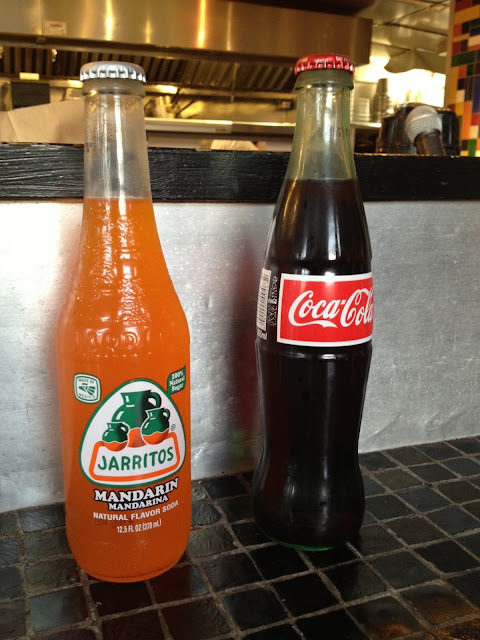 Bonus: they also have one of my favorite sodas: Jarritos, and another favorite of both of ours: Mexican Coke. These are made in Mexico and use real cane sugar, not high fructose corn syrup. If you have not yet tried one of these, make this the summer you do so! While we contentedly finished our food, we saw a lot of people came into get take out. 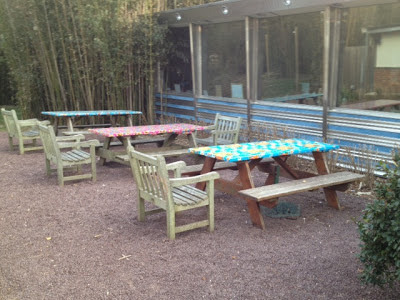 There's also a decent outdoor seating area that will no doubt be full once the warmer weather gets going. The staff are friendly and welcoming, our food was fresh and arrived quickly, and it's a great spot to fuel up before getting back on the road. 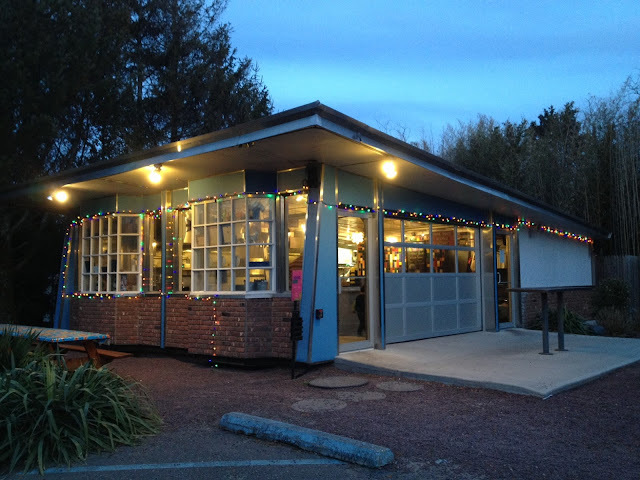 We loved every morsel of our meal at La Fondita, and will be sure to swing by a few more times this summer. I can imagine grabbing a fish taco and a Jarrito at the end of a sunny, sandy day-- bliss!